Looking for car insurance? You’ve come to the right place. We’ve been researching companies, writing reviews, and putting together guides like this one to make it easier than ever to get quality coverage for a low cost. Gone are the days when you had to pick up a phone and listen to a sales pitch to try and decipher whether or not an insurance company was really worth your money. Now, you can rely on sites like ours to make your search fast, easy, and free. MAPFRE is one of the many insurance providers out there you can request a quote from. They’re great if you live in Massachusetts, since that’s where they’re headquartered, but they have over 4,200 agents across the nation. Follow this guide to learn how to get a MAPFRE car insurance quote from the comfort of your own home. Then, finish your car insurance shopping by entering your zip code and comparing your MAPFRE estimate against other free rates using our fast, secure system. Our MAPFRE car insurance review explores the company’s history, ratings, coverages, discount options, and more. If you want to save time researching and get all the essential facts in one place, this review is exactly what you need. When you’re ready, head over to MAPFRE’s site to start your quote. 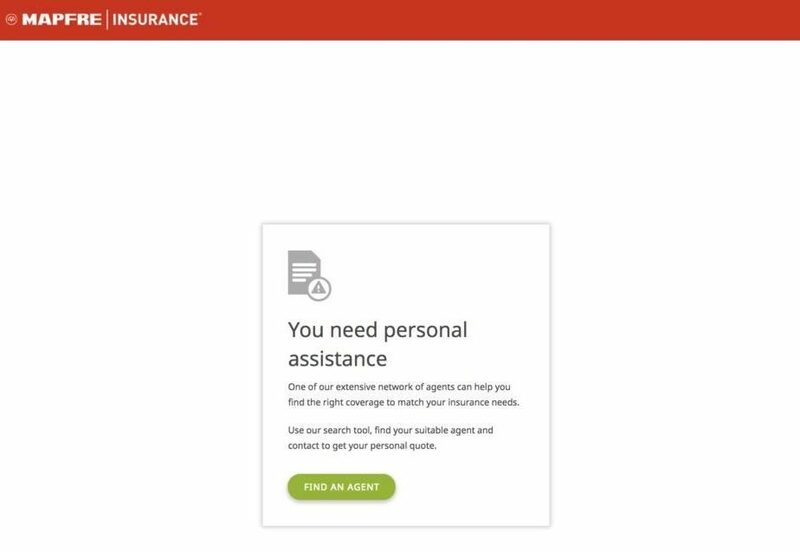 You can get started right from the homepage or conveniently click the “Insurance” tab from the top of the main menu to access MAPFRE’s quote system anytime. If your state isn’t covered, don’t sweat it. Use your zip code on our site to get matched with multiple local car insurance agencies free of charge. You naturally want to guard your personal information, but some details are necessary to customize a car insurance quote. Now it’s time for the most important facet of your car insurance — your car! 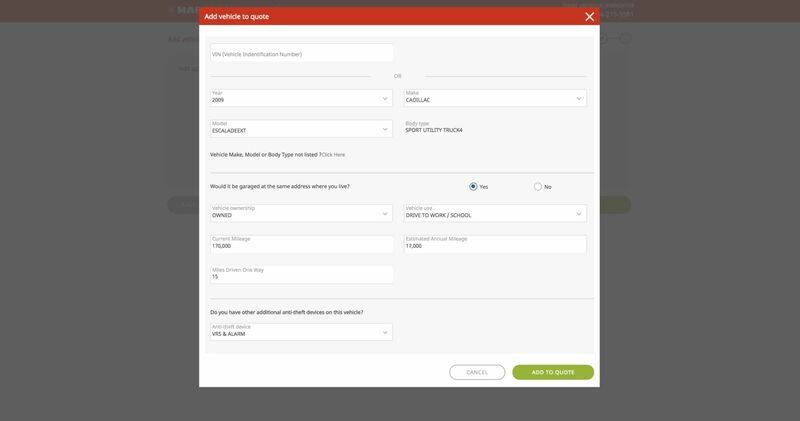 You can add multiple vehicles to your MAPFRE quote, and you can save your quote and return to it later if you need to run errands or leave and collect details. Your car’s year, make, and model are always going to be required for an accurate quote, but you’ll need to consider some other points you may not frequently address like whether you use your car strictly for personal use or if it would classify as a business vehicle. We tried multiple times to get a full quote online from MAPFRE, but at some point during each of our attempts, we were offered assistance from an agent. The company highly values its team, and you can easily get in touch with a local representative to help you finish your car insurance quote and even buy a policy. 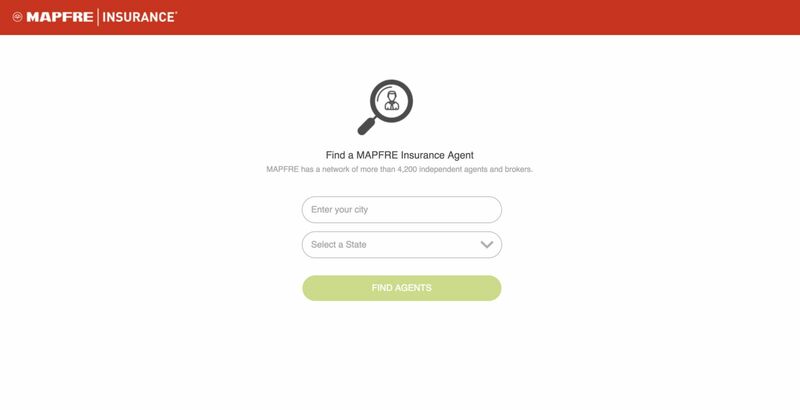 You can find a MAPFRE auto insurance agent in your area using the Agent Locator. Simply enter your city and select your state to get a list of local agents and agencies along with their contact information and directions. If you don’t want to work with an agent, don’t like the quote you got from MAPFRE, or just want to keep searching, we can help. Enter your zip code below and spend just a few minutes giving some information to get free personalized auto insurance quotes sent directly to you today.